The deaths of tigers and other wildlife have brought to the forefront a situation where the ‘management’ of one animal leads to the accidental deaths of another. A hundred and twenty-one snares were dismantled in a single day by the Karnataka forest department in a massive combing operation around the Nagarhole National Park boundary on January 31. Where once there were only four or five snares, now the forests are brimming with these quick fix killing contraptions – or so it seems. This rise in snares was noticed after the Karnataka government’s order last year that legally allowed culling of wild boars that were entering farms and damaging crops. The order, initially restricted to Ramnagara district, is now statewide. Opinions differ on whether it was the order that was misinterpreted by the locals to increase the use of snares under the guise of legally protecting their farms from wild boars – or that the noticeable deaths of apex predators like the tiger brought back the focus on these silent killers that were omnipresent but overlooked by the guardians of the forest overtime. Using snares to catch any wild animal always was and is still illegal in Karnataka. The latest order allows shooting after seeking permission but not snaring. Unfortunately, it is also a practice that is as much a part of traditional wisdom to protect one’s crops as any other method like fencing. Snares have been put around farms, coffee estates and wildlife corridors for defending produce or for other ulterior motives for ages. Image of a snared wild leopard taken by G. Veeresh. It is not only wild boars that are caught this way. There are deer, blackbucks, hares, muntjacs and the occasional tiger. It seems the use of snares that began as a sly measure by locals to defend land and capture a boar or two for the meat, has now blown out of proportion owing to the order that treats the boar as “vermin”– or animals that create nuisance. But wild boars are not the only animals under threat. Protected animals such as the tigers, leopards and bears too are becoming the victims of the callousness. 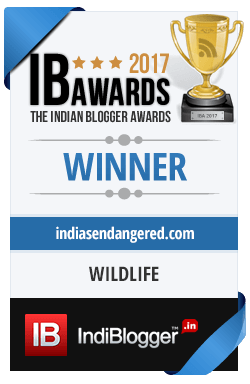 The tiger, leopard and sloth bear are all listed in Schedule I of the Indian Wildlife (Protection) Act, 1972, the highest level of protection given to wild animals in the country. This prohibits their killing and deems it as a punishable offence. The wild boar is listed in Schedule III of the Wildlife Act, which still makes it illegal to hunt though the punishment is less severe. However, under special circumstances if an animal is found to threaten human life or damage property, as in this case, the government might declare it as vermin for a specific period and thus allow its hunting. The order is a first for Karnataka but in 2015, under severe criticism from conservationists, the centre approved culling of nilgai and wild boar in Bihar and rhesus monkey in Himachal Pradesh by declaring them vermin in similar fashion. Since the implementation of the order, Karnataka has officially lost two tigers, three leopards and two sloth bears among its big mammals because of the snares. This includes a one and a half year old tiger cub that injured its forelimbs after being caught in a snare in Ponnampet forest of Kodagu district on January 18th. Another tigress was found dead at Srimangala near Ponnampet when she too found herself accidentally stepping into the snares left to catch wild boar. Two leopards were snared and found dead last year in the same location in and around Thangebailu, says Veeresh. The snares were in a banana cultivator’s farm in a land adjacent to the Bhadra Wildlife Sanctuary and a known wildlife corridor. He adds that as recently as on 8th February, a sambhar deer and a barking deer were killed in the Chikmagalur range after they got caught in the snares put up by farmers to catch wild boars. The revised order specifies that the person who has a wild boar raiding problem in his farm has to take prior permission. There is no provision of using snares. The boar must be shot by a person who has obtained a license from the forest department to kill the animal. He cannot kill a mother boar or her babies, and the injured boar or its carcass must be handed over to the forest department for post-mortem analysis and cannot be consumed for its meat. According to a state forest official, till date no such permissions have been taken. Hoover says, “They are not supposed to put a snare at all for protection of land. If they shoot a wild boar, the forest officer should be told within 24 hours, the carcass has to be burnt or buried. It’s funny, because we don’t even have enough forest officers to protect the forest, how will he go and check each wild boar killing? So now everyone is trigger happy.” He also fears that the farmers or coffee plantation owners could easily take advantage of the situation, shoot a wild boar somewhere else and claim that it was raiding their crops. The government treating the boar as vermin only makes it easier. There is another outlook though with regard to the tiger deaths. Ullas Karanth, conservationist and director of the Wildlife Conservation Society admits that the order does not seem to have a scientific basis because of the lack of survey before or after its implementation. But he firmly believes that the passing of this order and the snare deaths are unconnected issues. He reasons increase in number of tigers death itself in Karnataka is because of the increasing population of the animal and its limited habitats. 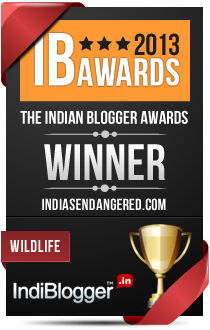 Karnataka has been a conservation success story with respect to tigers. An estimated 406 tigers live in the state with 221 recorded in Nagarhole and the adjoining Bandipur forests. Tiger density here is higher than anywhere else. However, the upswing in the population also comes with the higher mortality risks. With the big cat population reaching its saturation point in core areas, the spill over to the buffer zone is obvious. After the tiger deaths, the forest department began a massive snare combing operation around the border areas of Nagarhole. Combing forests to look for looped wires that could blend in with the hundreds of wines and shrubs is like finding needle in a haystack quite literally. 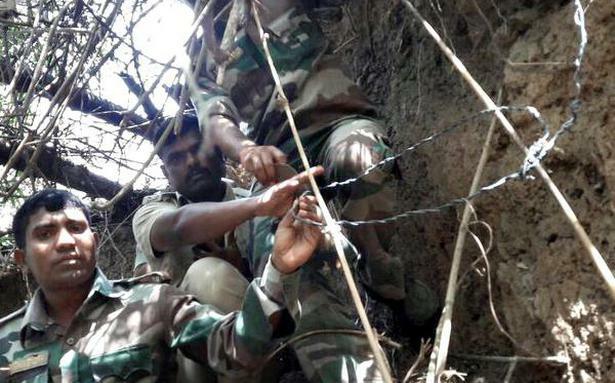 For the 121 snares dismantled in a single day, the department had to deploy 300 of its staff members, split into five-member teams moving around 17 km of the forest boundary from Anechowkur to Nanchi Gate. More than 400 snares were removed during the week-long operation– a staggering number of hidden death threats for any wild animal. Whether the combing operation itself was a media stunt, an action to prevent backlash or a genuine attempt to protect the wildlife is debatable, but it is that the problem is far from resolved. Snares are still being set up, and the government order has only led locals to believe that they can kill a boar or a tiger without serious consequences. Hoover points to the other equally risky factors that come into play this time of the year– water crisis and wildfires. 80% of water holes in Bandipur have already dried up and the water shortage makes animals like deer come out of the protected zones and approach human habitations to quench their thirst. Where herbivores tread, the carnivores will follow and this increases the risk of being caught in snares. The other problem is the dried forest cover which becomes more vulnerable to forest fires, as witnessed in the recent wildfire in Bandipur that led to the loss of a forest officer’s life. The department that is already 30 % understaffed has to deploy foresters and guards to prevent these man-made or natural fires. “When the crisis is so big, we are losing our people to go and work on the periphery of the forest to remove snares,” Hoover says. Karanth feels it is impossible for the forest department to go into each private land and remove snares. This initiative must come from the land owners. He advises that regular patrolling and snare removals can be done by forest staff inside all reserved forests/protected areas. Publicity campaigns targeting landowners to control snaring can be launched. NGOs can go and remove snares on private lands, with permission of owners. Veeresh who has seen how farmers keep bringing back the snares even after they are removed feels, punishing them is the best solution. If the forest department punishes the landowners rather than only removing the snares, it sets an example and can make them more responsible. The problem of wild pigs raiding fields is not exclusive to India. In Europe, Africa and the US there have been dedicated efforts to stop the damage using various methods however general consensus is that hunting or snaring is not a solution. Wild boars have a thick skull and hide which makes them a difficult target for hunting. They are also very quick learners and may change their routes if they sense a trap has been laid for them. Another argument is snaring might not be effective enough to take down the numbers that are actually needed to control the population. Farmers in the US, after two decades of legalised hunting have surprisingly also come to realise that the measure is counter-intuitive. Hunting, it is believed, becomes an incentive for the boars to reproduce more and grow in numbers. On the other hand, there are some traditional, innovative and much safer methods already employed in India that use the animal’s basic behaviours and traits to keep it from doing damage to crops. One such practice involves the use of human hair. In a 2015 study it was found that spreading human hair (collected from barber shops) around crops controlled the damage up to 40-50% in farms as the pigs did not like the minute hairs sticking to their nostrils. Spraying fields with a domestic pig’s dung solvent also proved to ward off wild pigs, as it led them to think they were entering marked territory. Burning dried dung cake, erecting colourful saree boundaries, planting thorny bushes are other proven traditional methods for warding off these persistent crop raiders without spilling blood. The deaths of tigers and other wildlife have brought to the forefront what experts always feared – a situation where management of one animal leads to the accidental deaths of another. The chosen method of selective slaughter is also questionable, when there is no scientific evidence to back the decision. The culling order has only given way to a self created chaos that could have been averted with a little planning and judicious approach.